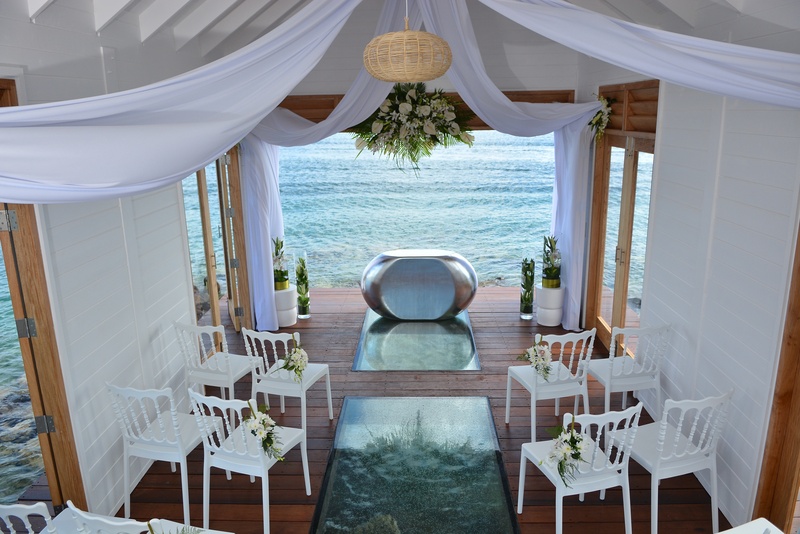 Sandal Resorts recently unveiled its first overwater wedding chapel at the beautiful Sandals Grande St. Lucian. 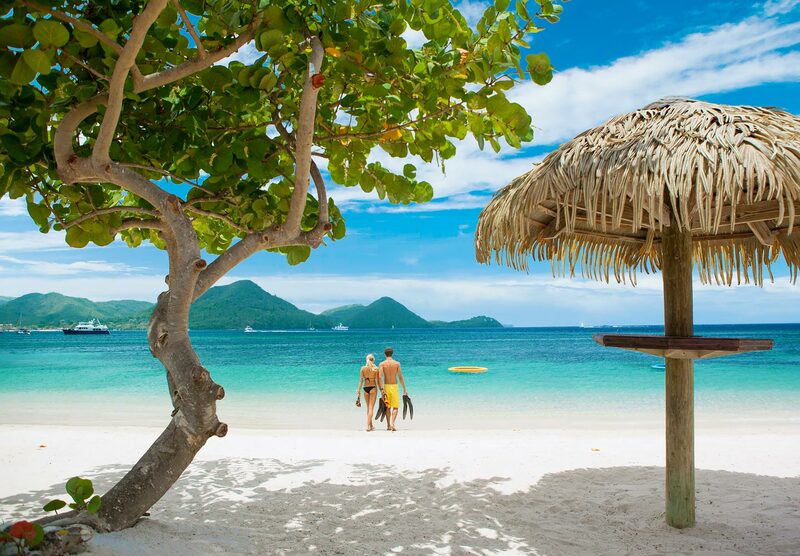 Why not get married in paradise over-looking the gorgeous Caribbean Sea? 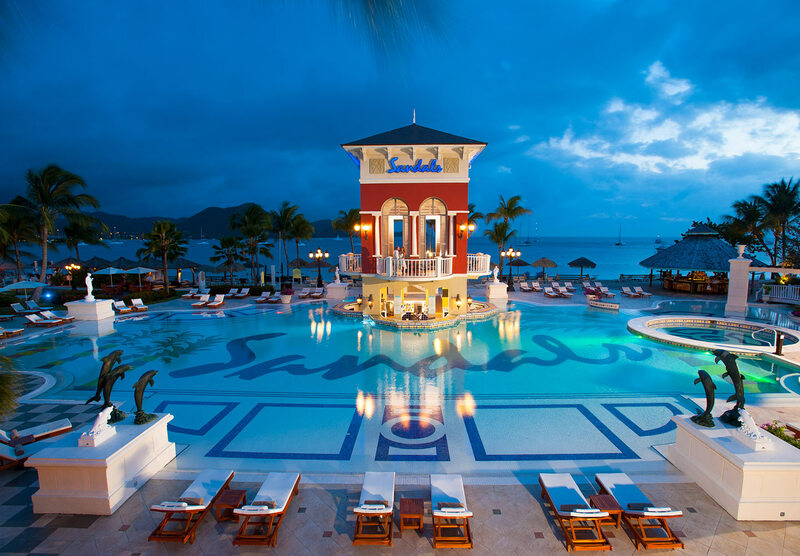 Sandals Grande St. Lucian sits on a spectacular peninsula located between the sea and Rodney Bay - St. Lucia's most beautiful bay! Set on a mile-long stretch of perfect, white-sand beach, the resort offers beachgoers magnificent views and the perfect place to relax. As if the beach wasn't enough, four main pools also dot this spectacular property including the signature Sandals pool with the iconic Sunset Tower and swim-up bar, an intimate heart-shaped pool shaded by coconut palms, the scuba pool, and a meandering lagoon pool that lets you swim up to your room's front patio. 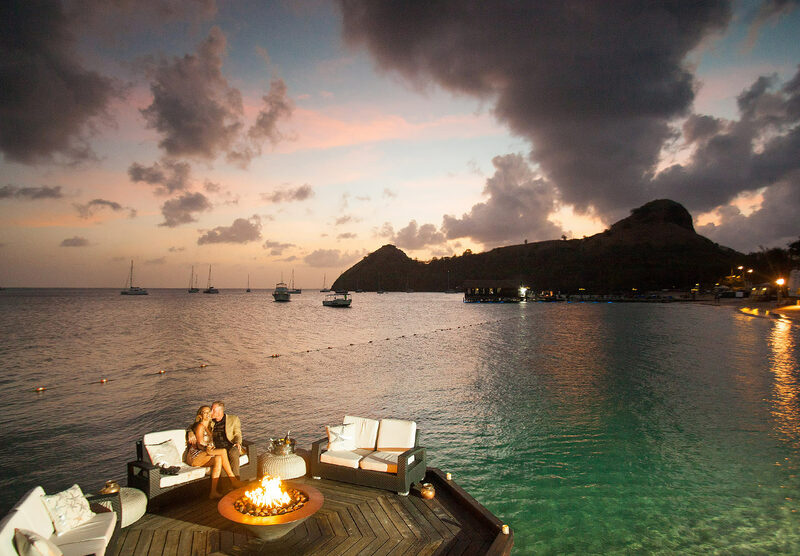 No one knows how to throw a party like Sandals Grande St. Lucian. In a corner of the world known for celebrating life, you'll find yourself surrounded by everything that brings a smile to your face. Every water sport under the sun (including unlimited scuba diving). A dozen different ways to get your game on. Lively swim-up bars and nightclubs that will sweep you off your feet. Of course, Sandals has perfected the art of doing nothing, so feel free to do plenty of that, too. After all, there are no schedules to follow in paradise. Your honeymoon begins the moment you say "I do"
*For pricing please speak to your travel specialist. 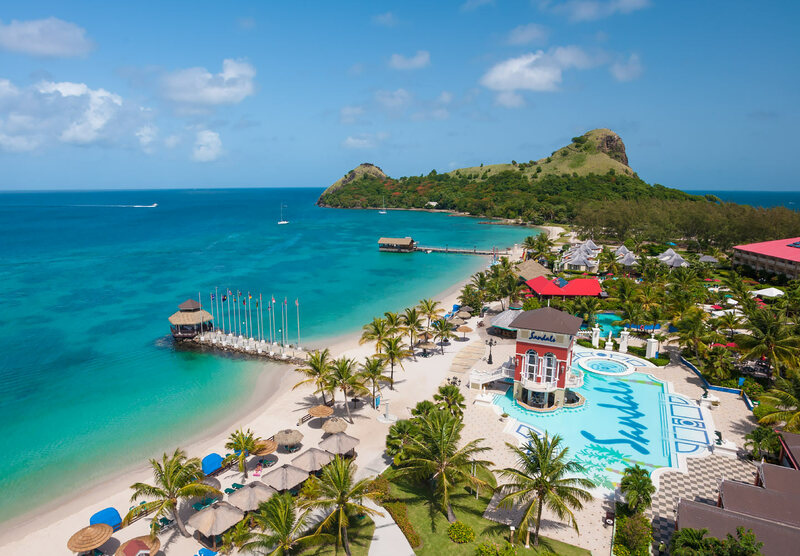 The tranquil Overwater Wedding Chapel at Sandals' Grande St. Lucian is the first of its kind on any island in the Caribbean and offers spectacular panoramic views of Rodney Bay. The chapel's elegant sea–inspired décor includes a beautiful Riverstone alter, a glass aisle made up of three water–viewing floor panels, and an open–air design that invites in the natural surroundings. This unique and intimate wedding venue has enough room to seat 15 guests or accommodate up to 20 guests standing. Use of the chapel is complimentary and can be reserved upon arrival on a first-choice basis. Defined by exclusive amenities and unique designs, these luxurious suites and villas create the ultimate escape for lovebirds. These well-appointed suites feature lavish bathrooms and amenities such as plush terry robes, hand-embroidered Egyptian cotton duvets, HD smart TVs, and the attentive service of a personal butler. 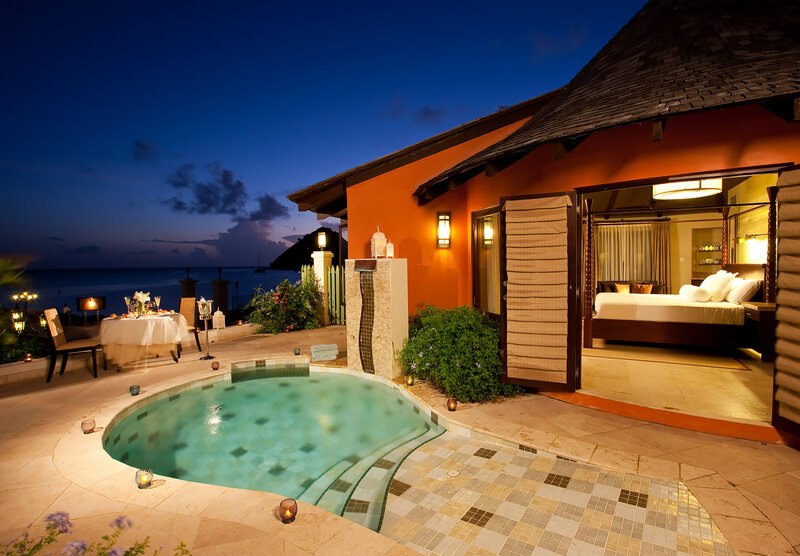 Choose from a wide variety of rooms from the extremely luxurious and private Beachfront Grande Rondoval Butler Suite with Private Pool Sanctuary to the simply luxurious Caribbean Honeymoon Beachview Penthouse Club Level Room to the more affordable luxury of the Caribbean Deluxe Room. To make all your destination wedding dreams come true speak to our Luxury Travel Specialist today! Call us at 604-736-7447 or click on the contact us button!